DXers from 11 countries and station representatives from eight countries took part in the annual conference of the European DX Council (EDXC) in Finland on August 16-18, 2002. Dubbed the DX Odyssey 2002, the conference was coupled with the summer meeting of the Finnish DX Association (FDXA), which lifted attendance figures to 130, the highest in many years. 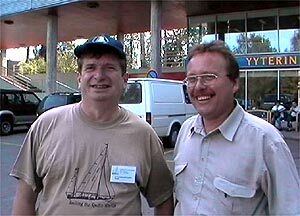 DX Odyssey 2002 was held in Pori, a familiar town to everyone interested in shortwave. 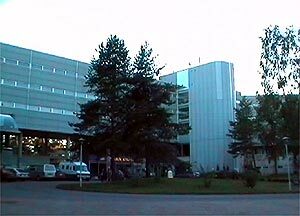 The shortwave center of Pori, including the shortwave transmitters used by Radio Finland and the most powerful AM transmitter in Finland, is located just 15 kilometers away from the conference venue, Spa Hotel Yyteri. The hotel in turn is situated on one of the best beaches in Finland, but despite the warm and sunny weather many of the participants seemed to prefer DXing in a murky hut and presentations in a sweltering conference room to laying on the beach or dipping into the exceptionally warm (+25 degrees C) sea. 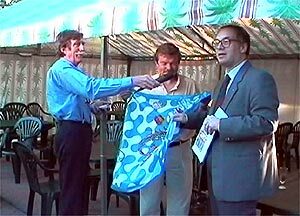 Frans Vossen (left) from RVI recording the welcome message of Luigi Cobisi (right), secretary-general of the EDXC, as he is handing a historical flag from Italy to Risto Vähäkainu (center), head of the organizing committee. The first problem was of course getting there. Finland is not exactly central Europe and Pori on the western coast is not the heart of Finland - located a four-hour bus or train ride (or a short but expensive flight) away from the capital Helsinki. Nevertheless, DXers from 11 countries managed to get to Pori, with Bob Padula from Australia traveling the most distance. Gerald Kercher and Lewis Coulborn from the U.S. took part, the rest of the participating hobbyists being from around Europe. The conference kicked off with a brief flag ceremony on Friday, August 16, at 17:30. The first part of the program was an introduction to a receiver test to be conducted over the weekend. Martti Karimies, Tarmo Kontro and Vesa-Jussi Rinkinen had collected an impressive range of professional and semi-professional receivers that participants were able to use over the weekend. 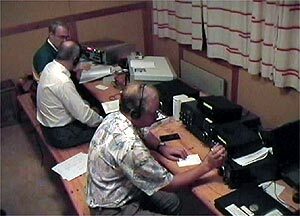 The listening shack with several expensive professional receivers was used by many DXers over the weekend. 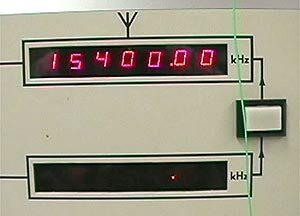 The receivers were tested and compared under the problematic reception conditions of Pori, where the shortwave center causes extremely high levels of interference. Results of this test were reported in the end of the conference, and a more detailed article on the tests is due to be published later on DXing.info. Two DXers from Russia; Alexander Beryozkin (left) from St. Petersburg and Dmitri Mezin from Kazan. Later in the evening a welcoming reception with drinks on the house was the first of its kind in the long tradition of Finnish DX conferences. The reception was held on a camping ground hosting a huge gathering of motorists. Those who stayed late were in for a surprise. The gates were closed, probably to prevent the motorists from flooding into the hotel grounds. Then the options were to either take a loooong midnight walk around the entire area or climb over a barbed wire fence. Just guess what a drunk Finn would choose to do... surprisingly few ripped trousers were seen on the following day. The conference gained attention both in the local media and in the international shortwave scene. 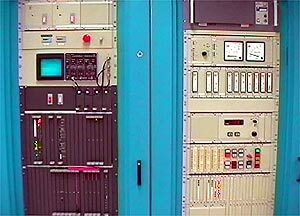 The leading regional newspaper Satakunnan Kansa wrote a large article on DXing, and YLE TV News covered the conference, concentrating on the decline of shortwave, in one of its evening newscasts with an audience of half a million. Scandinavian Weekend Radio (SWR) was heard both in the auditorium and on the airwaves. 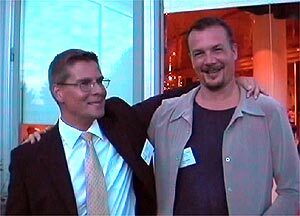 Esa Saunamäki and Trevor Twyman held a presentation of this station which is the first and only private shortwave station in Scandinavia. SWR also had a 24-hour special transmission on Saturday, August 17. 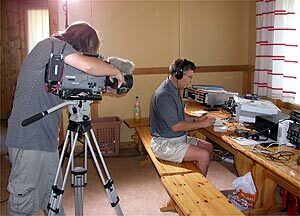 The Finnish Broadcasting Company (YLE) reported on the conference both locally in Finnish and on shortwave in English. A one-hour special broadcast from the conference venue consisted of interviews conducted by Christina Rockstroh and a panel discussion hosted by Juhani Niinistö, head of Radio Finland. Also on Saturday, German Rhein-Main-Radio-Club chairman Harald Gabler presented his vision for DX Channel, a combination of radio and internet services for DXers. An FM expert session hosted by Jukka Kotovirta introduced some of the achievements and experiences of Finnish FM DXers. In the afternoon, participants took a tour of the Pori shortwave center in Preiviiki, Pori. 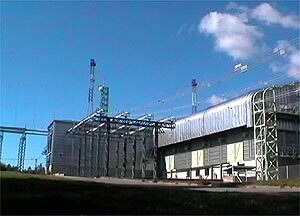 The center is operated by Digita, which is responsible for radio and television transmitters in Finland. Digita is owned by the Finnish Broadcasting Company (YLE) and Télédiffusion de France (TDF). 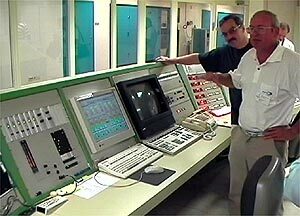 For DXers, figures are what count... As we learned from director Esko Huuhka, the Pori shortwave center was built in 1988, and covers an area of 40 hectares. The transmitter building itself is 3347 square meters. 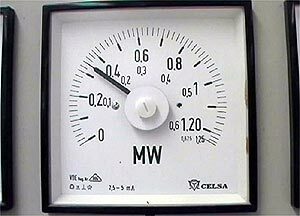 There are five shortwave transmitters (3 x 500 kW, 1 x 250 kW and 1 x 100 kW) and a 600-kilowatt mediumwave transmitter operating on 963 kHz. All antennas are directional. Program is fed from YLE studios in Helsinki by four links, so a maximum of four program feeds can be transmitted simultaneously. 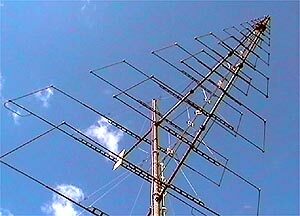 Seeing the antennas that we all are used to listen to was an interesting experience, although to an untrained eye, all antennas all over the world look more or less alike. Later on Saturday, Airto Vienola guided participants to make computer audio files and Magnus Wiberg from the Swedish Teracom explained about the promises of DRM, Digital Radio Mondiale. The AM DX Show hosted by Hannu Niilekselä, Antti Aaltonen and Hannu Tikkanen gave an interesting insight into the development of MW DXing in Finland over the years. Yours truly gave a presentation on DXing.info, and Paolo Morandotti told the audience about a portal developed by EDXC. And to enlarge the sphere of DX activities, Jarmo Salmi and Simo Soininen gave a presentation on collecting radio-related items such as stamps, closing the afternoon session. The evening was a mix of FDXA and EDXC traditions; a hefty banquet at the hotel restaurant represented the pan-European contribution, while the FDXA awards ceremony (presented by FDXA chairman Juha Ignatius and Risto Vähäkainu) and the DX Auction (by Raimo Kaksonen and Jarmo Salmi) were irreplaceable ingredients of the Finnish tradition. This year the FDXA awards went to Hannu Tikkanen, Hannu Asikainen, Håkan Sundman, Bob Padula, YLE Radio Finland and the Scandinavian Weekend Radio. A special prize was awarded to Mika Palo for his activity in promoting DXing in the media. A lottery, with winners drawn by Valentina Jolkver from Deutsche Welle, was also held with receivers and other items donated by the many sponsors of the conference. Andrew Janitschek took home the top prize, a Sangean ATS-505 receiver. Sunday morning began with a look at radio history. Mika Palo, all the way from Portugal, told the story of Radio Voice of the Gospel in Ethiopia and also presented an assessment of Shortwave Guide, a new book published recently by the WRTH. 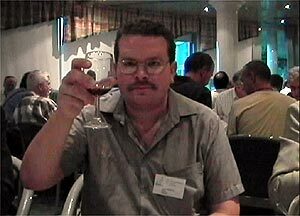 Cheers - or kippis as they say in Finland. The conference was a success, believes FDXA chairman Juha Ignatius. Yours truly chaired the forum for international broadcasters. Present were Arto Mujunen (IBB), Andrew Janitschek (RFA), Osman Erkan and Engin Asena (Voice of Turkey), Frans Vossen (R Vlaanderen Int), as well as Waldemar Krämer and Valentina Jolkver (both Deutsche Welle). 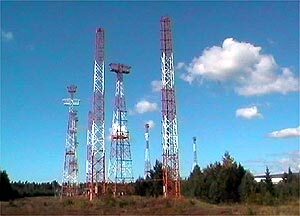 The future of shortwave broadcasting was debated, but Janitchek assured that shortwave will definitely survive as a medium. -If you want to reach people in Burma, how many have access to the Internet? Probably as many as there are people in this room, Janitcheck said. Many broadcasters are however closing their services, among them Radio Finland (see news and community for details). Osman Erkan said that Voice of Turkey also plans to close some language services, including Kazakh, and put more emphasis on satellite delivery. The LP antenna in Pori can be directed anywhere. Frans Vossen reminded that radio stations shouldn't make hasty conclusions based on the feedback they get. Even though it is DXers who write to the stations, there are countless other listeners. -Why would anyone need to write to a radio station, Vossen said, and told that once when he was still a listener and not a broadcaster, and lived in Africa, he nearly got arrested for getting too much mail from Russia. Radio Moscow at that time was not just any international broadcaster. As for Radio Vlaanderen, Vossen said that a new website would be published in October, but shortwave will continue to be one alternative channel for the audience. 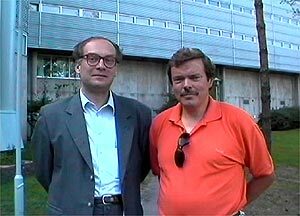 Krämer told that across the border in Germany DW is celebrating 50 years next year (you can expect new QSLs) and the station plans to move from Cologne to a new broadcasting house in Bonn in February 2003. Slightly past midday Sunday, August 18, the closing session included the EDXC club meeting. The general feeling was that EDXC is losing ground among European DX clubs. -The future of EDXC doesn't look too good, if the present trend continues. In addition to the land list, the annual EDXC conference is the only significant activity at the moment. The number of member clubs is declining, says Risto Vähäkainu, previous secretary-general of the EDXC. But, to end the official conference program on a happier note, Risto Vähäkainu held a humorous music quiz, which was won by Alan Pennington and Jorma Huuhtanen. After closing the conference officially at 14:00, some 20 participants took advantage of the possibility to extend the conference by a couple of more days by participating in a tour of Estonia, including a visit to the Estonian Radio in Tallinn. That is where the only real setback of the conference took place as Frans Vossen of RVI badly injured his knee and needed to stay in hospital in Tallinn for a couple of days before he was taken for an operation in Brussels. -But the dinner at Olde Hansa restaurant in Tallinn was the best experience of the conference, Risto Vähäkainu said. - And generally on the conference, I was very happy with the program and the presenters, Vähäkainu sums up.